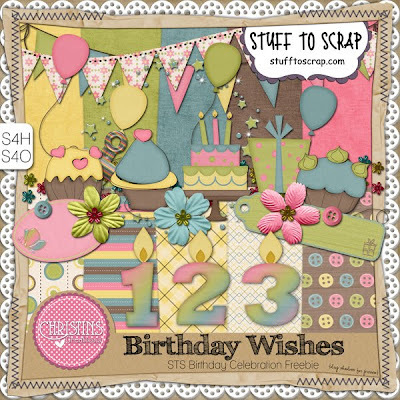 May is almost over, which means the Stuff to Scrap (STS) birthday month is almost over. It's been a crazy month, and I just realized I forgot to post about this birthday kit created by Christin's Creations. Birthday Wishes is currently on sale - 30% off.